Click ECFA logo to view MAG profile. Missionary Air Group is an accredited member of the Evangelical Council for Financial Accountability (ECFA). 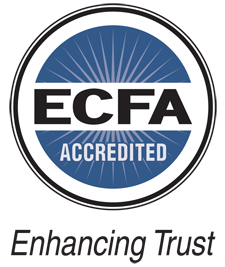 ECFA is an accreditation agency dedicated to helping Christian ministries earn the public's trust. Founded in 1979, it provides accreditation to a growing number of America's evangelical charities and churches. ECFA accreditation is based on ECFA Seven Standards of Responsible Stewardship, including financial accountability, transparency, sound board governance and ethical fund-raising. Click below to view our annual Form 990's. Other available financial statements and information is available upon written request. Click GuideStar logo to view MAG profile. GuideStar is the world's largest source of information on nonprofit organizations. Clicking on the GuideStar link will connect you to our Nonprofit Profile and give you access to the profiles of thousands of other charities, providing you with the information you need to make informed giving decisions.